Netstat is a very useful command line tool used to display information on our application network activities such as ports on which the computer is listening, active TCP connections, IPv4 statistics, etc. 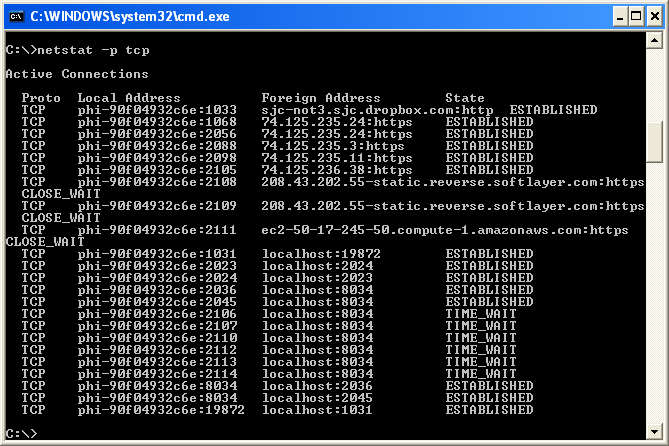 -e : Displays Ethernet statistics, such as the number of bytes and packets sent and received. 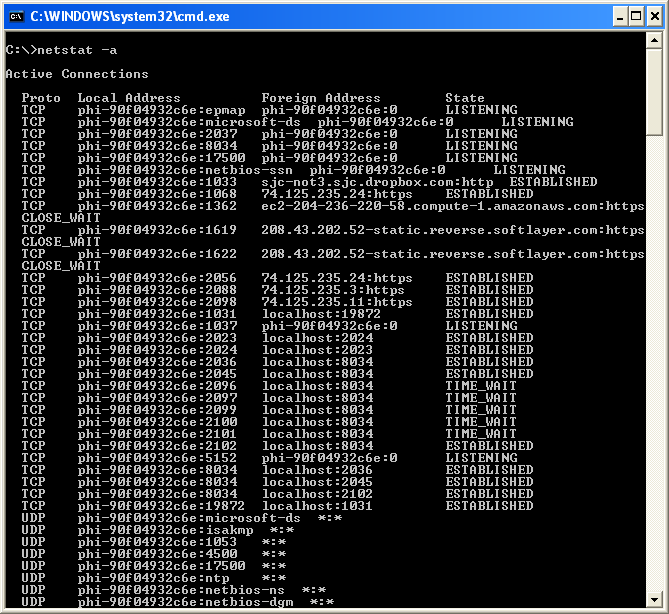 This parameter can be combined with -s.
-r : Displays the contents of the IP routing table. This is equivalent to the route print command. Interval : Redisplays the selected information every Interval seconds. Press CTRL+C to stop the redisplay. If this parameter is omitted, netstat prints the selected information only once. Display all active TCP and UDP connections.